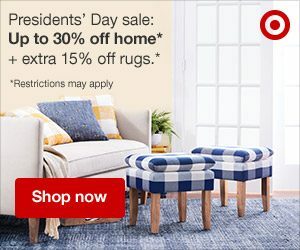 If you are here to just shop then I won’t delay you and you can get your President’s Day Sale discount by clicking here lol. 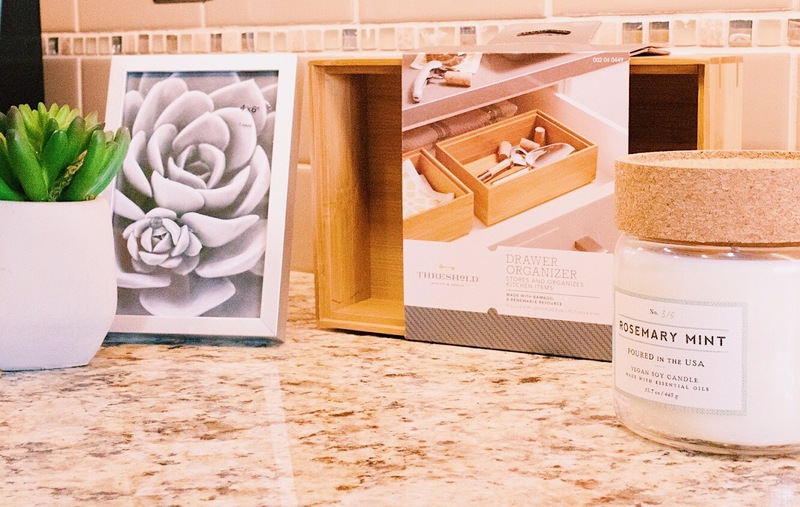 In my post on Instagram earlier this week I had shared that I had picked up some home items that will all go towards a project that I am working on in my home. A year or so ago I had come across a video where Nikki Boyd known as ‘At Home with Nikki’ on Youtube where she revealed how she set up a home coffee bar. I loved what she did with that bar and always said I would like to figure out how I could do something similar to my own home by utilizing our butler’s pantry. It has been an eye sore ever since after I started renovation our kitchen back in 2015 and had turned into the drop off station and I have been wanting to change this for the longest. Ms. Nikki’s video has never left the back of my mind and ever since last year I have working to plan my own ‘beverage station’ (as I am not much of a coffee drinker) and I have just recently put my plan into action. If you are a fan of Ms. Nikki like we are then you will know she is an home organization expert! I am working to become better organized in my home this year and have been concerned that as much as I make the exterior of the beverage station beautiful I would also like to make sure that the drawers are organized. 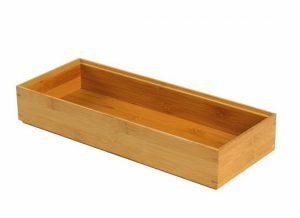 So I purchased this bamboo Drawer Organizer to help ensure my beverage station never gets cluttered. So here is a little secret about me. I am absolutely horrible about adding pictures to my home. I don’t know exactly why I always forget (or avoid) adding this element to my home but I do. 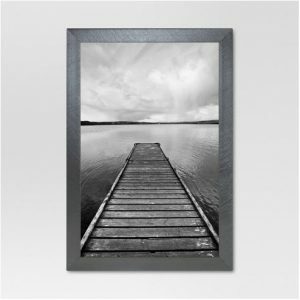 I picked up a that I think will add a nice touch of personality and tie into the theme as I have the perfect picture planned to go into that will fit the overall theme. The color of the candle is what drew me over to it but once I smelled it, let me tell you all this candle smells so divine! I couldn’t leave it on the shelf as the Rosemary Mint scent are herbs that are near and dear to me. When I was growing up and helping out my Grandmother in the kitchen as a young girl I remember her always asking me to walk to the back yard and ask my Grandfather to pick out some rosemary and mint from their garden to add to our dinners. I remember trying to understand her joy for these plants as she would always teach me to rub the leaves and enjoy the scent of these herbs especially. 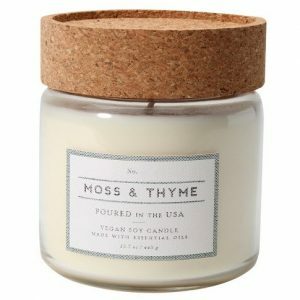 These memories are fond to my heart and I purchased this candle as it was perfect to incorporate my memories of my Grandmother in my own home. Don’t hurt me, but I could not find the link on Target’s website for the same candle. 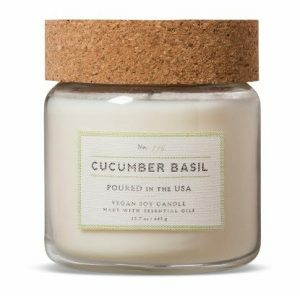 I found some candles that are of the same brand that you can still find on the website. Actually, here is another secret about myself. I cannot keep a plant no matter how hard I try. It’s really embarrassing especially as I just shared I grew up around my grandparents who had a garden full of plants and vegetables. My parents are green thumbs too. Sigh. I don’t know. Maybe one day I will carry that gene lol. 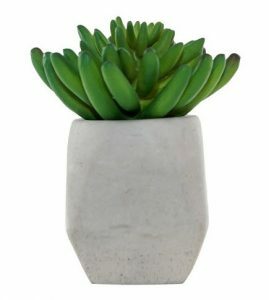 Well lastly, I purchased this cute artificial cacti plant that I think will bring the project full circle. To be honest I am still on the fence about placing it at my beverage station. So when I complete this and reveal the final look you will find out along with myself if I decide to keep it. I’m working hard to show you the final reveal. Please stay tuned. The Presidential Sale happening this weekend! Hope you all have a happy shopping and safe holiday! And let me know in the comments below what you think would be some accessories or decor items needed for a coffee/beverage station (aka bar).